H-GKI6 system, Providence region. On the 27th of February at 14:00 EVE Standard Time, a tackled supercarrier prompted a battle between Providence Bloc and Pandemic Legion [-10.0]. The chain of events that led to the supercarrier in question, an Aeon, to be tackled started with a Spectre Fleet interceptor roam through the region. The Spectre Fleet force had approximately 40 pilots and was moving through the Providence region in search of prey. The force came across an Hyperion battleship on the VKI-T7 gate in the H-GKI6 system, which it quickly teleported off with the use of a command destroyer and easily dispatched. However, shortly after, an Archon carrier warped to the gate in order to give support to the battleship, arriving too late. The interceptor fleet quickly tackled the carrier as well and started tearing it apart, at which point a Nidhoggur carrier jumped in to assist the Archon. With two carriers on the field, the Spectre Fleet commanders were contemplating retreat as two triage carriers were too much for their interceptor fleet to handle. Yet when a few minutes later an Aeon carrier jumped in through the gate as well, all thoughts of withdrawal were set aside. Without any interdictors or heavy interdictors, the Spectre Fleet quickly called for reinforcements while maintaining tackle on the two carriers. Contacts were quickly sought with potential allies in the area, including the infamous #RekkingCrew and Pandemic Legion who was stationed at the time in the Curse region. As interdictors and heavy interdictors streamed into the system to help maintain tackle, the Aeon managed to warp off to safety, leaving the carriers behind. By this point, Spectre Fleet was able to obtain a cynosural beacon which allowed them to bring a dreadnought into the system. With a lone Moros dreadnought on grid, the Aeon pilot decided to come back in order to save the carriers, a move which would seal its fate. The Aeon was quickly tackled by Spectre Fleet reinforcements that were later joined by Pandemic Legion interdictors who happened to be camping the Y-MPWL system in the region. Pandemic Legion had also managed to organize a 35 pilot Sleipnir command ship fleet and burnt to the system as #RekkingCrew secured 3 more dreadnoughts and jumped them into the system. With the Sleipnir fleet on top of it and 4 dreadnoughts mercilessly bombarding it, the Aeon could do nothing but cave in under the onslaught and exploded. This left the carriers, which were dispatched with ease by the combined firepower present on the field. Yet, before the allies could celebrate their victory, a Providence Bloc Nightmare battleship fleet, estimated at 35 pilots, entered the system and engaged the Sleipnir fleet. The Providence Bloc fleet had just returned from a battle in the nearby Derelik region when it stumbled upon the Sleipnir fleet in the Assah system of the Derelik region. However, the fleet commander at the time did not know of the tackled supercarrier, as the pilot did not inform anyone of what was going on. Thinking they were pursuers and not knowing the full extent of the hostile force, the Providence Bloc fleet commander decided to avoid an engagement, allowing the Sleipnir fleet to advance uncontested. Upon learning the situation from indirect reports, the fleet commander had the Nightmare fleet burn to the system, arriving too late to save any of the tackled ships. 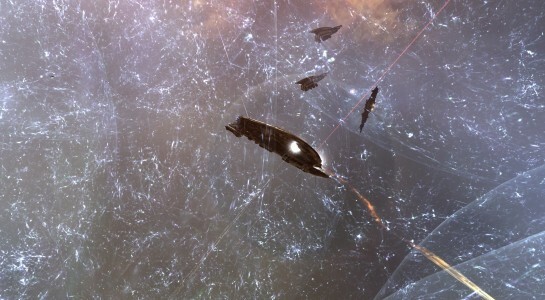 Though unable to save the Aeon, the Nightmare fleet did not waste any time and engaged the Sleipnir fleet. The two sides quickly tangled up in a close range melee, artillery cannons and beam laser batteries often missing their marks. Yet, in the end the Nightmare fleet was able to soak the damage of the Sleipnir fleet, and as the two fleets untangled and gained some distance, even volleying some of the command ships. Realizing he didn’t have the firepower to contend with the Nightmare fleet and losing ships, the Pandemic Legion fleet commander ordered the fleet to disengage and warp out. This left the dreadnoughts on the field exposed, two of them managed to jump out but the remaining two were quickly tackled by Providence Bloc forces. With the Providence Bloc force concentrating on the dreadnoughts, the Sleipnir fleet used the opportunity and made its escape, managing to extract home safely without further losses. Spectre Fleet forces also used the confusion to slip away unnoticed. With the two dreadnoughts destroyed, Providence Bloc forces claimed the field, though lost the objective, and brought an end to the fighting. Battle report for the H-GKI6 system can be found here. All told the battle lasted 60 minutes with the system hosting an estimated 150 pilots at the peak of the fighting and no Time Dilation reported. Providence Bloc lost 10 ships in the fight, including 1 Aeon, 2 carriers and 1 battleship for a total of 29.27 billion ISK damage. 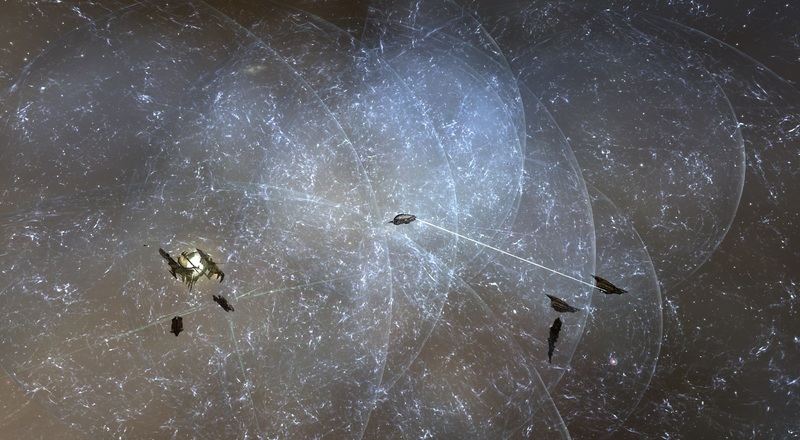 Pandemic Legion and Spectre Fleet lost 22 ships in the fight, including 2 dreadnoughts and 3 command ships for a total of 7.95 billion ISK damage. Some genuinely excellent posts on this web site, appreciate it for contribution. “Gratitude is merely the secret hope of further favors.” by La Rochefoucauld. F*ckin’ amazing things here. I’m very glad to look your post. Thank you so much and i am taking a look ahead to touch you. Will you kindly drop me a mail? I really like what you guys tend to be up too. This kind of clever work and reporting! Keep up the great works guys I’ve added you guys to my blogroll. I presently am running two blog sites, one is for style & development and also I have a pagerank of 4 on it and I have loads of great short articles. And I have one more blog where I have rants, health and wellness suggestions and digital photography … Should I combine them or should I maintain it seperate?.